DESIGNED TO BE A CHAMPION. THE U.S. OPEN IS COMING TO THE PACIFIC NORTHWEST FOR THE FIRST TIME IN HISTORY. IT’S AN EXPERIENCE YOU CAN ENJOY AGAIN AND AGAIN. Pierce County fenced off a wide swath of property near the Chambers Bay Golf Course Monday in anticipation of the event which runs June 15-21. The county closed the "Meadows" adjacent to the shoreline, along with a footbridge to the beach and part of the Soundview trail, to allow for the USGA to begin staging the event. The "Meadows" will be closed until 2016. It will allow the USGA to set up what's been described as a welcome village for the 30,000-plus daily visitors expected to this small Pierce County town. Further closures are planned throughout the month of April. The University Place City Council on Monday also banned food trucks during the weeklong event. It has already banned drones and imposed severe parking restrictions that affect roughly 4,000 homes. Most ticket holders will be bused in from places like Fort Steilacoom Park and the Puyallup Fairgrounds. The USGA is expected to release its transportation plan in April. The USGA also signaled that it may be taking its "Fan Fest" event outside the University Place city limits. That event, which one organizer called similar to a scaled down version of the NFL's "Super Bowl City," has been at the last two US Opens. However, the City of Seattle's Economic Development Office acknowledged Monday that it had been contacted about hosting the event in Seattle. A USGA representative declined to comment and said that no contracts had been signed. 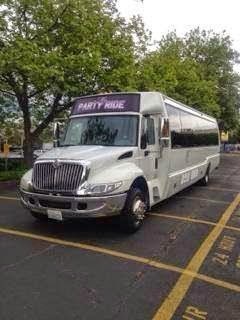 14, 16, 18, 20,22,24,26,28,30,32,34,36,38,40,42,44,46,48,50,60, Passengers Group Party Buses For Prom , School Dance, Bachelor Party, Night out, Bar hopping In SEATTLE WA and all major cities.